I have been selected by Silk and DailyBuzz Food to be an ambassador for Silk Soymilk. While I have been compensated for my time, all opinions are completely my own. When I told my kids that the new taste of Silk Soymilk left me speechless, their reaction was, well…you can see for yourself. Indeed. While I did not capture photographic evidence of Mike’s reaction, it’s safe to assume the refrigerator is going to be well stocked with Silk. Ha! I didn’t remain speechless for long though. Let me tell you how Silk Soymilk transformed two of my everyday staples into something so extraordinary that it almost left me speechless! I began my Silk Tastemaker Challenge with the most important meal of the day: breakfast! I enjoy the same old breakfast day after day: oatmeal, unsweetened cocoa, and flaxseed, all cooked in water and topped with a sliced banana. It’s basic, it’s simple and it’s tasty! I decided that replacing the water with Silk Soymilk would be a good way to test the new taste of Silk. And now enter the speechless moment. My (slightly) boring old breakfast became something different; something better! 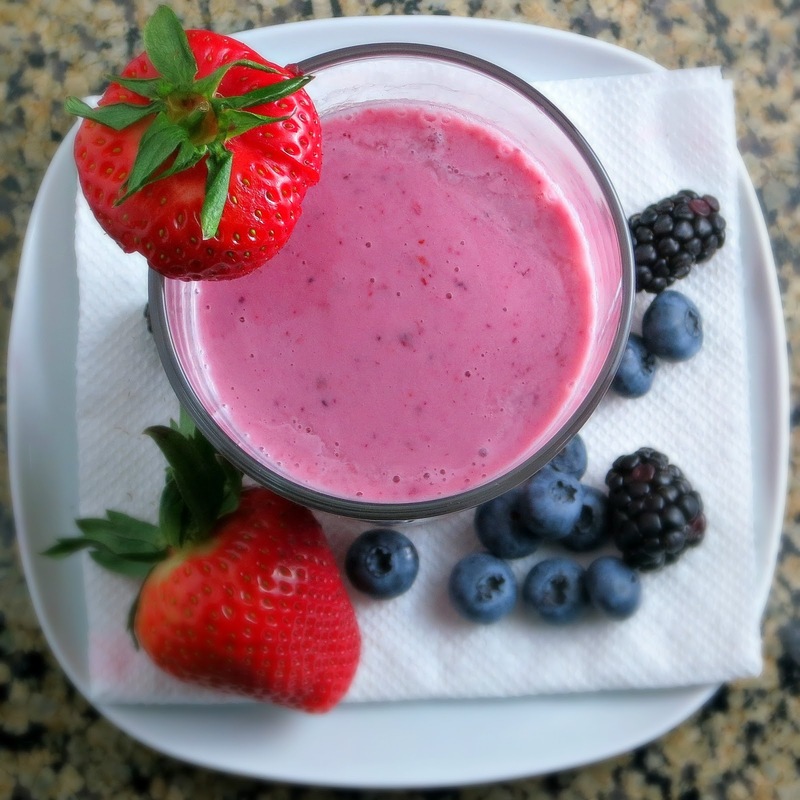 For my next Silk Tastemaker Challenge, I decided to use Silk Soymilk in my favorite mixed berry smoothie. I replaced the usual juice with Silk Soymilk. The result? Let’s just say this post-workout smoothie did not last long. In fact, the only thing slowing me down was the ice cream headache. You know, when you consume something icy cold so fast that your head literally hurts? I think some people call it a brain freeze. Anyway, I have not had an ice cream headache since I was a child! I told Mike ‘This is the best smoothie I’ve ever had in my life. You have to try it!’ Mike took a sip and his eyes lit up. I could tell he wanted more, but he politely declined since he knew how starving I was after a long run. However, the next day, when I got back from my run, I found two glasses innocently placed next to the blender. 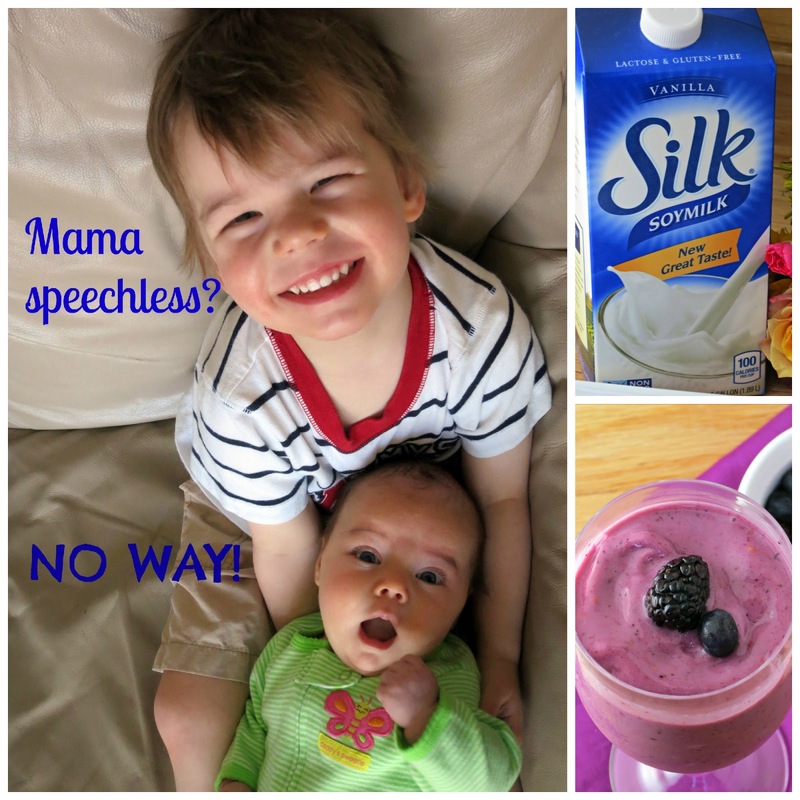 I guess I’m not the only one who was left speechless by the new taste of Silk Soymilk! Be sure to visit Facebook.com/SilkUS for a chance to create your own taste description and to be a part of Silk’s Tastemaker Challenge! This Diet Mixed Berry Smoothie is quick and easy to make and perfect for breakfast on a busy morning, a post-workout recovery drink, or an afternoon pick me up. Made with just a few healthy ingredients, it’s a vitamin-packed smoothie that can be enjoyed anywhere, anytime (and portable too for when you’re on-the-go!). 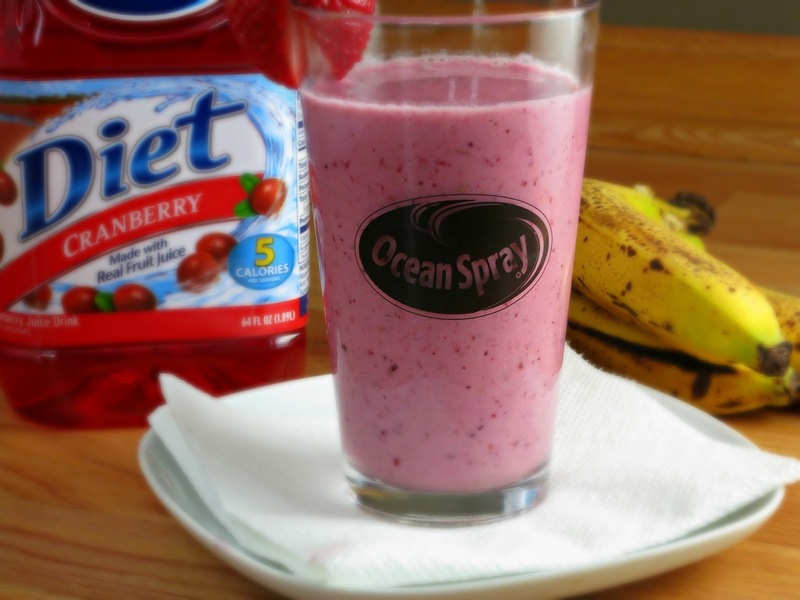 Recently, I was given the opportunity to try Ocean Spray’s Diet Juice Drinks and thought it would a tasty addition to this smoothie recipe. At only 5 calories per serving, swapping out full-calorie juices in favor of Ocean’ Spray’s Diet Juice Drinks can help save calories (and carbs, if that’s a concern), while still tasting delicious. For this recipe, I used Ocean Spray’s Diet Cranberry juice and it went nicely with the berries used in the rest of this smoothie. For next time, I have my eyes on the Diet Blueberry Pomegranate! To learn more about Ocean Spray’s Diet Juice Drinks, visit http://www.oceanspray.com/Products/Juices/Diet-Light/Diet-Cranberry-Juice-Drink.aspx. Combine all ingredients in a blender (or Magic Bullet). Blend on high speed until ingredients are thoroughly combined. Pour into a chilled glass. Enjoy! Tip: slice banana before freezing...it's much easier! A couple weeks ago, we got blasted with snow, and it’s been a chilly December ever since. Definite soup weather! 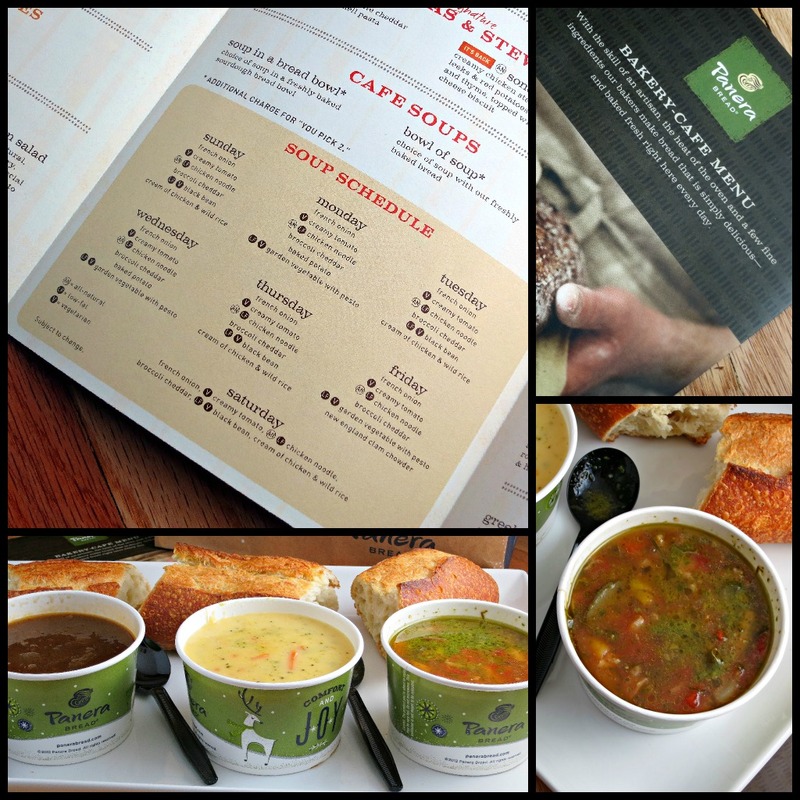 Fortunately, I was given the opportunity to check out Panera Bread’s soup line…and am so glad that I did. While I’m not generally a soup person, I found a soup that I not only love, but have been dreaming of ever since! I’m always trying to find a soup that I like, so thought it best to test out a few different flavors. Mike and I made a weeknight dinner of it and shared 3 different soups: broccoli cheddar, French onion and low-fat garden vegetable pesto. Mike and I both liked all three soups, though Mike’s favorite was the broccoli cheddar. There were actual chunks of broccoli, as well as a generous amount of carrots, all in a smooth cheese soup. It really was delicious…especially for dipping the baguette. Panera Bread has a new website (panerabread.com/soup) devoted to their soups, which hosts the daily soup schedule, as well as other fun facts about their soups. Disclaimer: As part of the DailyBuzz Food Tastemaker program, I received a giftcard and stipend to try Panera Bread Soups. All opinions are my own. 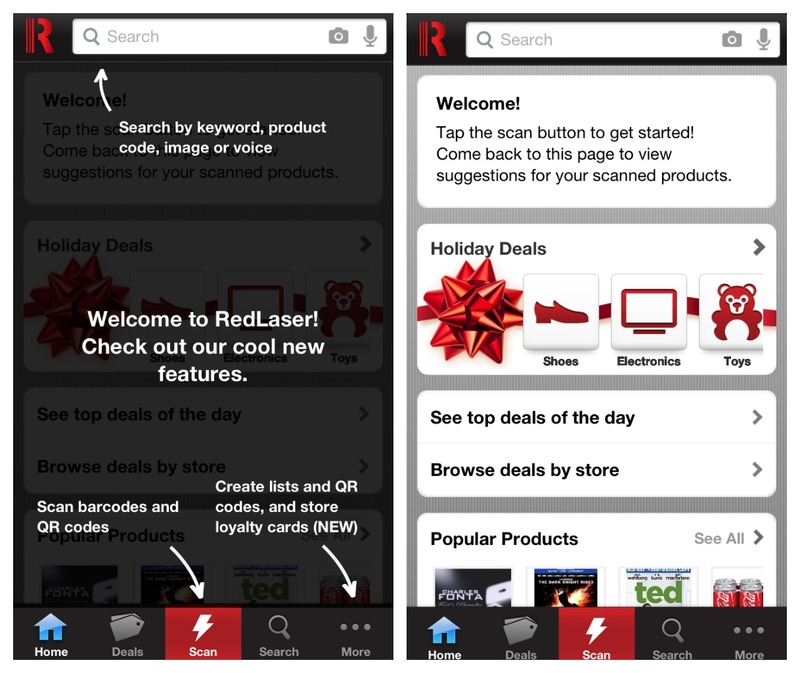 RedLaser – the secret weapon for smart shoppers! Save Money with Price Comparison and Deals! This feature is by far my favorite, and what I found most useful (and timely with holiday shopping). I was shopping for a few Christmas gifts for Adam and wanted to save money by getting the best price possible. I powered up RedLaser, entered “b symphony.” The handy app let me know the lowest price was just down the street at my local Target store. Easy! To locate a product, simply enter the product into the search bar (left) or scan a barcode (right). I entered B Symphony and easily found what I was looking for in the search results (left). 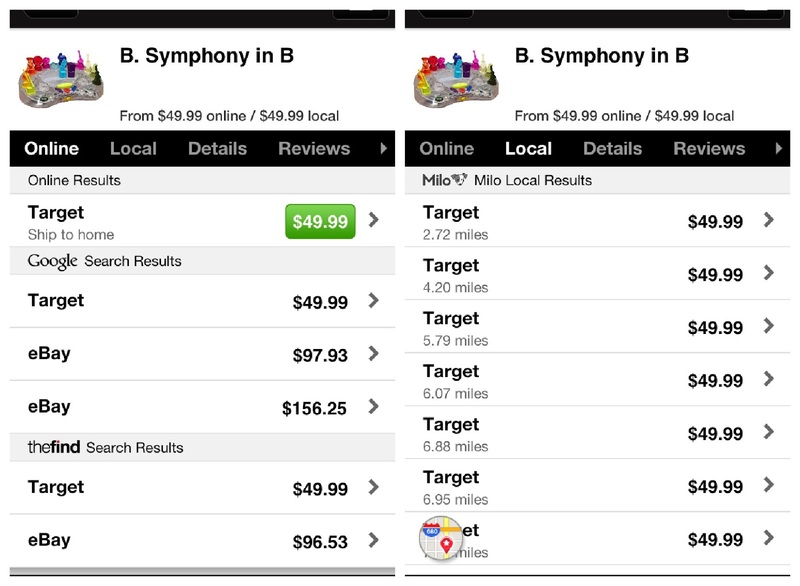 The search results for B. Symphony in B tells me the best price is at Target. Later that day, we drove to our local Target down the street and picked up this toy…happily knowing we found it at the lowest price! Whether I was at home searching or scanning a product at the store, RedLaser helped me find the best price available for toys, toiletries, clothes, etc. I was able to easily verify if an in-store price was better than online since RedLaser did the research for me with one quick scan. The app also pulls up current deals associated with each store (powered by Retail Me Not), which saved me yet another internet search. Mike was most excited about the ability to scan all of his loyalty cards into his smart phone. With so many cards, his wallet is out of control. How nice is it to be able to just whip out a smart phone (you always have it with you, right?) to access your card. There are pre-loads, such as CVS, Walgreens, Panera, etc, where you can just scan your card. 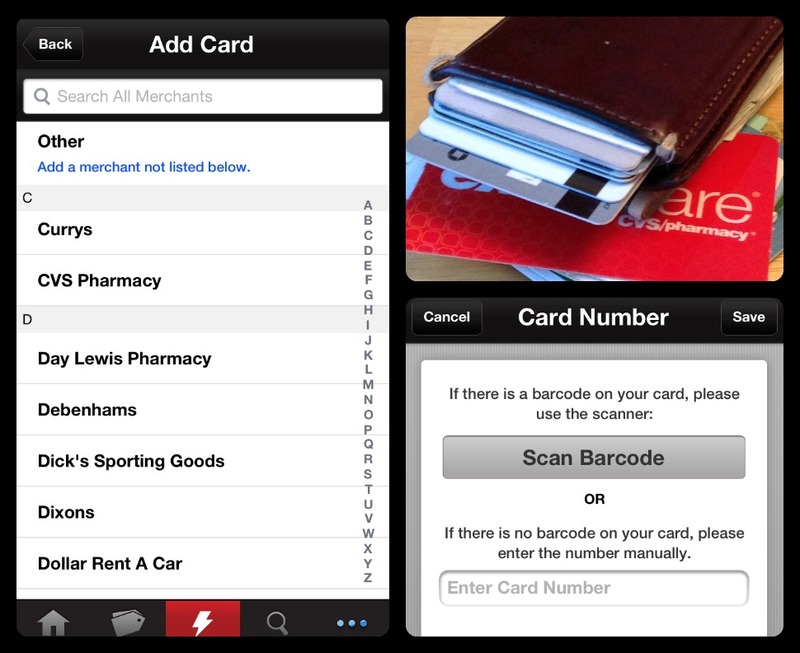 You can also scan local grocery cards, and I even scanned my fitness club card ~ all easily accessibly on a smart phone. Your wallet will be a little lighter, and you will never be without your cards again! As a person with a tree nut allergy and a mother to a child with a peanut allergy, I was most interested in this feature of RedLaser. I had very high expectations for the ability to scan food items and get allergen information. I did some test scans with various food items to see how this feature works. First I scanned pretzels. As you can see, the details (left) show nutrition information as well as allergen information. 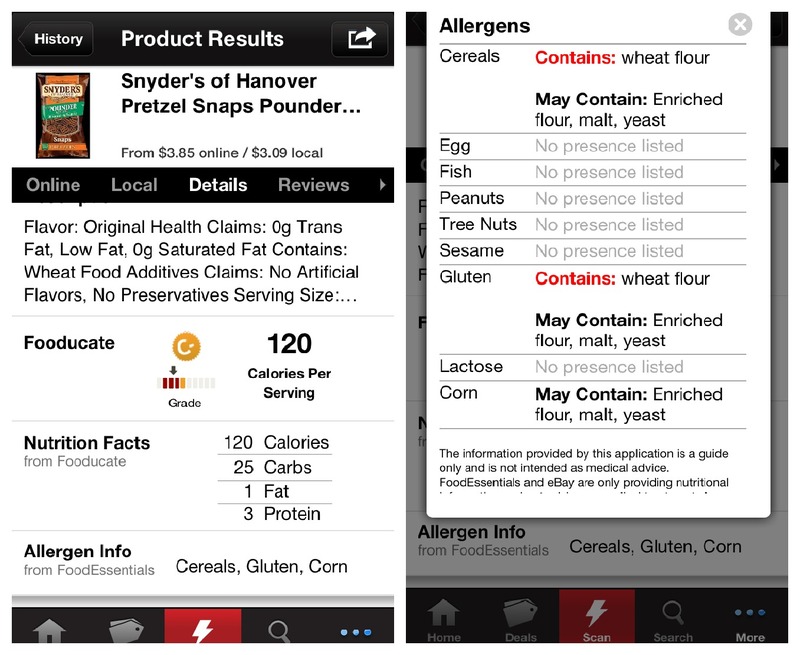 I expanded the allergen information (right) and it gives a nice snapshot of allergens associated with these pretzels. Next I scanned peanut butter to see how allergen information would appear for a peanut product. It was consistent with what I would expect. The allergy information is informative and helpful. So far so good! As I continued additional scans on a jar of peanuts and a bag of whole wheat pastry flour, I expected both to be flagged for allergens. Unfortunately there was no allergen information for either item. So while the allergen information is useful when present, the inconsistency makes me uneasy. People without allergies or folks with newly discovered allergies always have lots of questions about what foods are safe. I was hoping to be able to point them to RedLaser. However without reliable results, I just can’t do that…yet. I see great potential here and am interested in seeing where RedLaser goes with this. Like I said, when it does work, it really is an amazing feature. RedLaser is available for download on iPhone, Android and Windows smart phones and has been downloaded over 22 million times. Clearly the secret is out! Disclaimer: As part of the DailyBuzz Moms program, I have been compensated for my time on this post for RedLaser, however the details and opinions are completely my own. Every year I have a list of must-make holiday cookie recipes, including Peanut Blossoms, Pretzel Kiss Candies, something with ginger, as well as several others. 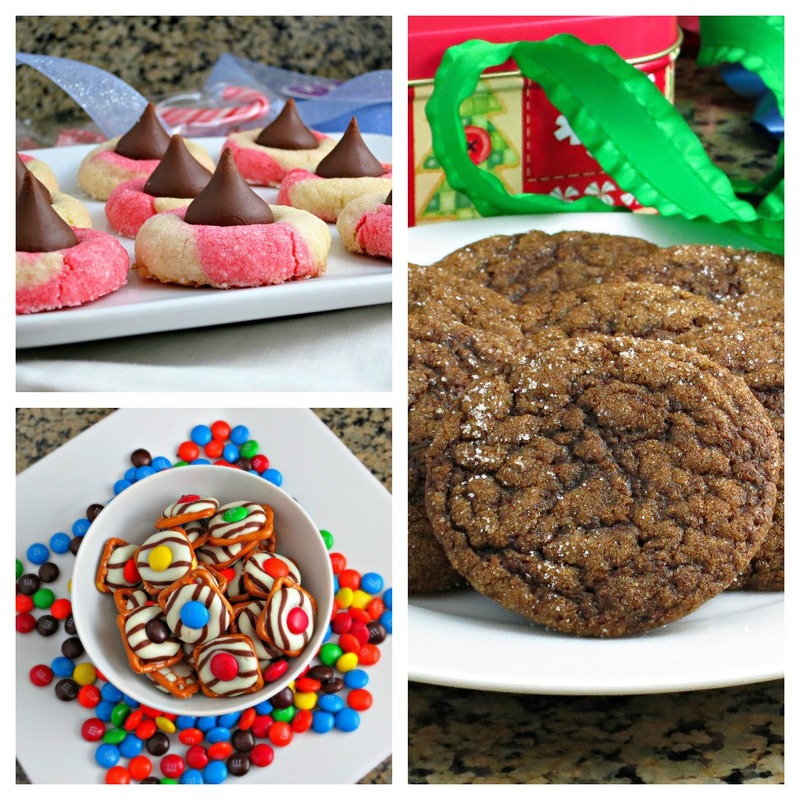 It’s always fun to add new recipes to the mix, and that is where the genius idea of a Cookie Exchange is great. You get the benefit of trying several new recipes without a) having to do all that work and b) the risk of making several dozen of something that you wished turned out differently (or sadly wished you never made!). This holiday season, I had the privilege of hosting a Cookie Exchange, courtesy of GLAD, to help raise awareness for the Cookies for Kids’ Cancer campaign. And I was GLAD to be a good cookie! 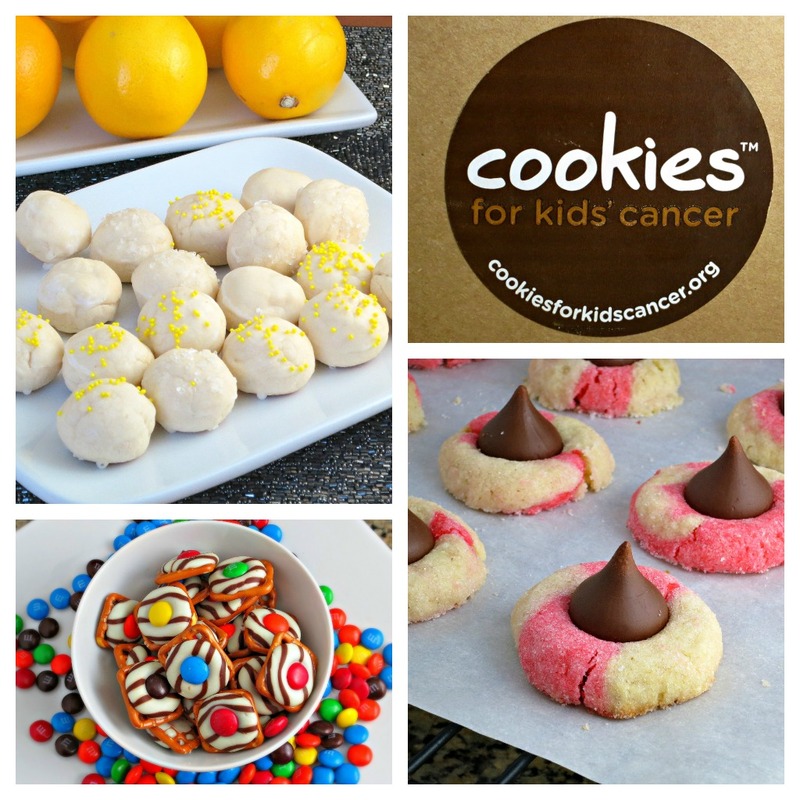 Cookies for Kids’ Cancer is a non-profit organization founded by parents inspired by their young son’s fight against cancer. Pediatric cancer is the number one cause of death by disease of children in the United States, due in large part to the need for funding research into new and improved therapies. It is unthinkable, yet according to the National Childhood Cancer Foundation, one in every four elementary schools has a child with cancer. While many children are cured, there are still many children who will not survive. In the spirit of holiday giving and in being a good cookie, I made a personal donation to the Cookies for Kids’ Cancer program. I have also created a Cookies for Kids’ Cancer Donation Page so that you too can be a good cookie and help fight pediatric cancer! Thanks to GLAD, you can also join in the some fun by exchanging a virtual cookie with a friend at www.glad.com/Glad-Cookie-Exchange. GLAD will donate up to $1.00 to Cookies for Kids’ Cancer for each cookie sold, exchanged or given this November and December 2012 – up to $100,000! Encourage your friends, family, coworkers, anybody and everybody, to do the same! As far as my Cookie Exchange, I am very excited that GLAD is generously donating $1 per cookie that was exchanged. How awesome is that! 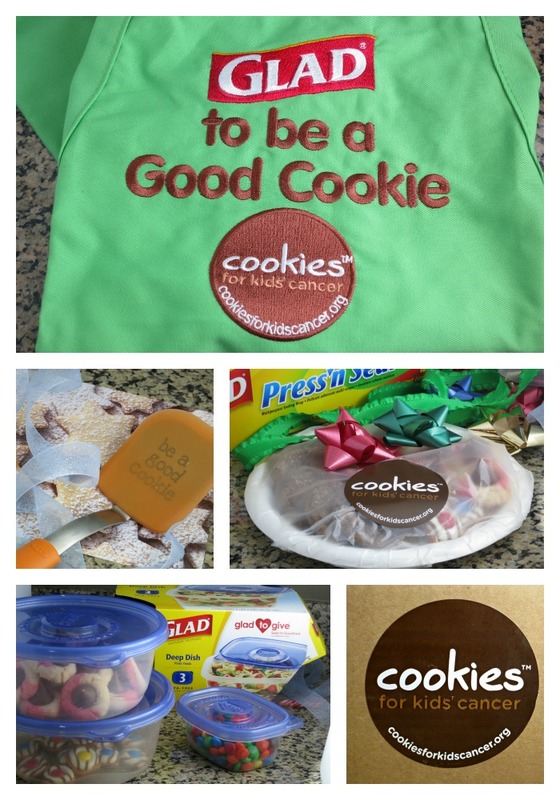 There were several dozens of cookies sampled and packaged, recipes printed and exchanged. As a result, I have many recipes to share with you! Diclaimer: The donation page is my personal page that I set up to offer an option for people to assist in the fight against pediatric cancer. It is not affiliated with the sponsor(s) of this post. Golden Graham’s S’mores Bars are a no-bake, graham, chocolate, and marshmallow bar that is super easy to make. These classic flavors never get old, and it is always fun to find new ways to enjoy the taste of s’more. These bars are similar to a rice krispie treat, only using graham squares cereal , and chocolate is melted with the marshmallow mixture. They take about 10 minutes to melt and mix together and then about an hour in the refrigerator to set the chocolate. I found the recipe years ago on the back of a Nestlé® Toll House®Morsels bag, but had not had an opportunity to make them. Fortunately, as part of the DailyBuzz Food Tastemaker program with Nestlé® Toll House®Morsels, I received a baking kit and coupon for free Nestlé® Toll House®Morsels and was invited to spend the afternoon baking with my favorite little man. It just so happens that Adam is very interested in all that goes on in the kitchen these days. He was more than excited to help! This was the perfect recipe to get Adam involved in the kitchen. He served as chief ingredient pour-er and chief mixer (before melting, of course), and may have done some on-the-job sampling. He took his jobs very seriously and took great pride in his work. It was fun to have a little baking buddy, and fun to have an excuse to make these Golden Grahams S’mores Bars! Pour cereal in a large bowl and set aside. 5 cups of marshmallows, chocolate chips, butter and corn syrup in a medium sauce pan over medium heat. Stir constantly, until melted and smooth. Remove from heat and stir in vanilla extract. Pour chocolate mixture over cereal, stirring until well coated. Add remaining marshmallows and stir. Pour mixture into prepared baking pan, using a spatula or back of wooden spoon to press the mixture into the pan. Refrigerate for 1 hour, until firm. Cut into bars and serve. 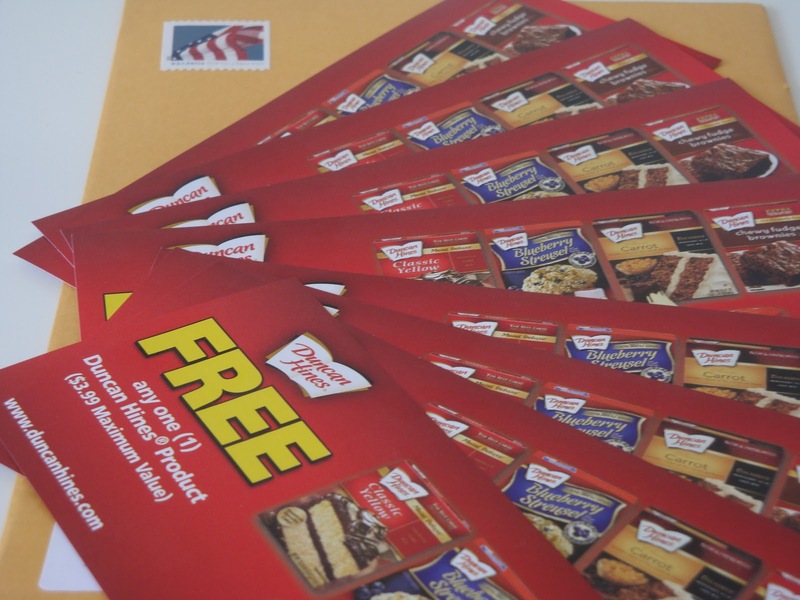 Disclaimer: As part of the Foodbuzz Tastemaker Program, I received a baking kit, a coupon for free bag of Nestlé® Toll House® Morsels, and a stipend. Sponsored posts are purely editorial content that we are pleased to have presented by a participating sponsor. Advertisers do not produce the content. This Easy Creamy S’more Pie is very simple to make and tastes like a chilly, creamy version of a s’more. It starts with a graham cracker crust, topped with a smooth chocolate layer. It is then topped with a fluffy marshmallow layer, which has a similar consistency to the soft, pillow center of a marshmallow that has been toasted in the fire. The result is a creamy, delicious s’more pie. This pie is made with only 5 simple ingredients, which can be kept on hand at all times. The hands on time takes less than 10 minutes, making this pie a cinch to make any time. Easy Creamy S’more Pie pie is a refreshing treat for a hot summer day, a tasty way to end any day or share with family and friends. The recipe is easily doubled, making it perfect for get-togethers or to have one as a spare. Enjoy! Stir marshmallows and ¼ cup milk together in a microwave safe bowl. Microwave on high for 1½ minutes and stir. Continue to microwave and stir in 30 second increments until marshmallows are melted. Refrigerate until cooled (about 40 minutes). Once marshmallow mixture has cooled, fold in 4 ounces of COOL WHIP whipped topping. Whisk together the pudding mix and remaining 1 cup of milk for about 2 minutes or until mixture thickens. Pour pudding mixture into graham cracker pie crust. Spoon dollops of marshmallow mixture on top of pudding mixture, and then gently spread using a silicone spatula. Refrigerate for at least 4 hours to overnight. Decorate with additional COOL WHIP whipped topping, chocolate squares, and graham cracker crumbs, as desired. Disclaimer: As part of the Foodbuzz Tastemaker Program, I received coupons for free COOL WHIP Whipped Topping and a stipend. Sponsored posts are purely editorial content that we are pleased to have presented by a participating sponsor. Advertisers do not produce the content. Summer Kick Off with Drumsticks! We have been enjoying unseasonably warm weather lately, which has put us all in summertime frame of mind. With summer comes lots of time with family and friends over barbecues and ice cream cones. Accordingly, we decided to celebrate the unofficial kick off to summer in all its glory, christen our new grill and try Nestle’s Drumstick Pretzel Dipped Cones. I was able to prepare the burgers, marinate the chicken, chop the veggies, and cut up the watermelon, all the night before. 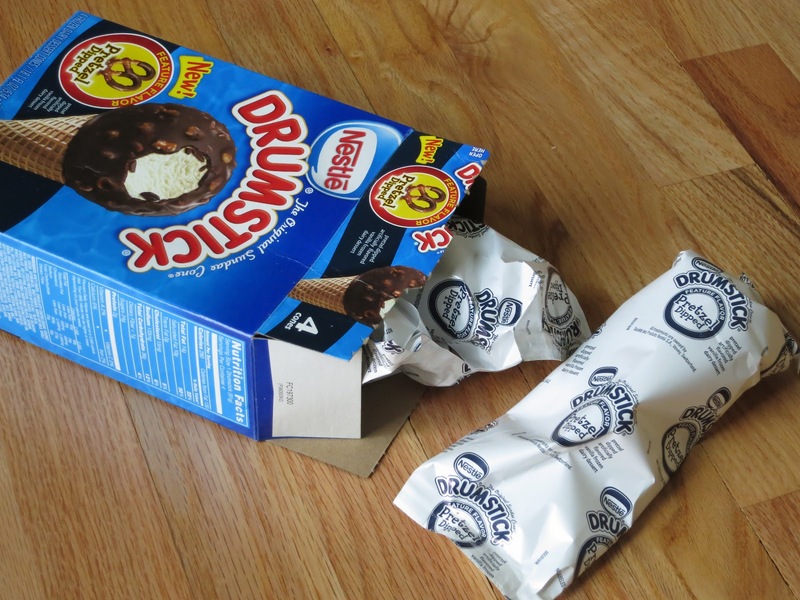 Thanks to Nestlé Drumstick, dessert was easy. This left very little work to do the day-of, so we were able to enjoy our day of outdoor recreation, which included a trip to the park, blowing bubbles, and playing with Grandma and Grandpa. Come dinnertime, grill master Mike grilled the chicken and burgers to perfection. The roasted broccoli and sweet potato rounds were delicious and healthy accompaniments to our dinner. We enjoyed every bite, and then it was time for dessert. Once we opened the box of Drumsticks, that’s when the magic happened. Everybody started talking and reliving memories of Drumsticks. 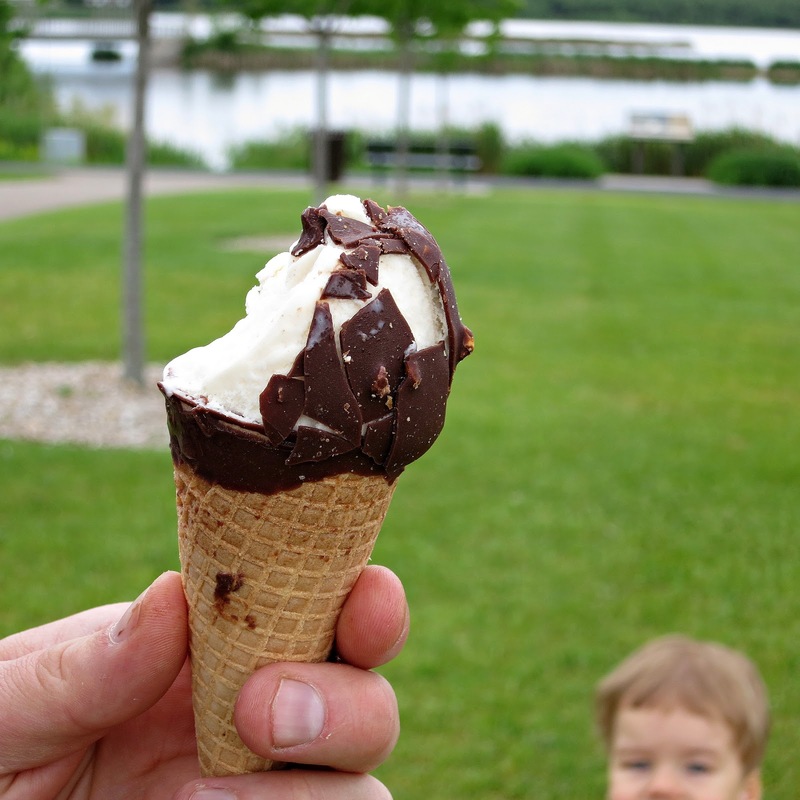 It was so fun to have different generations sharing memories of eating Drumsticks as kids. 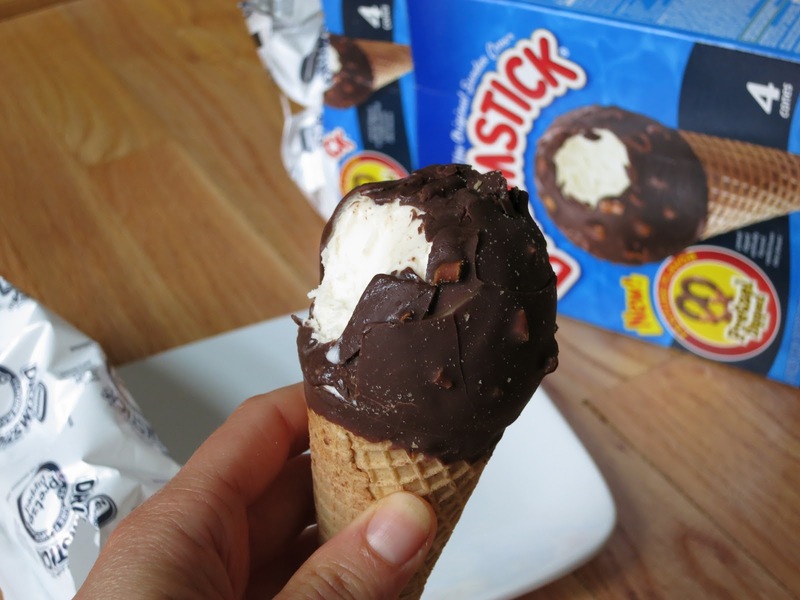 These were the same old Drumsticks that we all remembered, except with pretzels in the chocolate coating instead of a peanut topping. We savored every last morsel from the chocolate-pretzel covered vanilla ice cream down to the chocolate at the bottom of the cone. Our summer celebration went off without a hitch, from our activities to dinner to the magic of Drumsticks. With today being the unofficial start of summer, in the months to come, I hope that you get to enjoy many perfect summer days with many magic moments! Disclosure: Nestlé has provided me with free product and other items in order to help with my review, but anything I receive from Nestlé does not affect my thoughts on its company or their products. Cheese has always been one of my favorite foods. As a child I remember sneaking some cheese whenever my mom was in the kitchen, or simply grabbing a Kraft Single on my way out to play. I also remember my mom always made my brother a ham and cheese sandwich using Kraft Singles, but I liked my cheese plain. That is…until I discovered the grilled cheese sandwich. Melty cheese on bread? So simple yet so delicious! When I went to college and had my own apartment, I started experimenting with grilled cheese sandwiches. It was around this time when I noticed Kraft Singles came in more varieties than American, and I was very excited to see they came in Swiss! I made a tasty little combo with a slice of cheddar, a slice of Swiss, some sauteed onions, all on multi-grain bread. Grilled cheese perfection every time. Oh…the memories! That was all many years ago, yet my love for experimenting with grilled cheese sandwiches continues to this day. Mike and I like to mix it up with tomatoes, sunflower seeds, onions, bacon (for him)…really nothing too crazy, but always tasty. This time, I thought it would be fun to experiment with guacamole and make a Guacamole Grilled Cheese Sandwich. For a while now, I have had a recipe flagged for a grilled cheese made on the stove top and in the oven, without any butter. This sounded like the perfect method for the Guacamole Grilled Cheese Sandwich. The result? Amazing! The stove-to-oven method gives the bread a crispy exterior without any frying or being greasy. The cheese is perfectly melted, and the guacamole can shine right through. This Guacamole Grilled Cheese Sandwich is a fun and tasty twist on a childhood favorite. Do you have childhood memories or a family story to share about Kraft Singles? You can share your story at https://www.facebook.com/KraftSingles. Put your story on the map and join the conversation about Kraft Singles! Preheat oven to 375 degrees. Line a baking sheet with parchment and set aside. Spread guacamole evenly on one side of each slice of bread. Place a Kraft Single cheese slice on top of the guacamole on each slice of bread, and then flip to make a sandwich (so cheese on cheese). Heat a nonstick skillet over medium heat and spray with cooking spray. Place sandwich in pan for about 1 to 2 minutes or until bread is toasted. Flip and repeat on the other side. Transfer sandwich from skillet to the prepared baking sheet. Bake for 3 to 5 minutes, or until cheese is melted. Remove from oven, cut in half and serve immediately. Disclaimer: As part of the Foodbuzz Tastemaker Program, I received a coupon for free Kraft Singles and a stipend. My initial impression of this No-Bake Peanut Butter Pie was that it’s a perfect pie for summer. While I still believe that to be true, let’s be honest. This pie is so amazingly delicious (and easy!) it should not be limited to any single season or occasion. This pie is the perfect any time pie! We all know, some of the best desserts are quick and easy. This No-Bake Peanut Butter Pie is no exception. It can be whipped together in a matter of minutes, and then just popped in the freezer until time to serve. The texture is smooth and creamy, almost like an ice cream pie. The peanut butter flavor is nicely balanced with the COOL WHIP whipped topping and cream cheese. I halved the amount sugar from the original recipe, and the result was just the right amount of sweetness. The recipe makes two pies, one for now, one to share, or to simply make ahead for later. It’s great for a holiday, potluck or really any day. The ingredients will soon become pantry staples in my house (thanks to Mike! ), so we can enjoy this any time pie…any time! Put cream cheese, peanut butter and powdered sugar in a large bowl. Beat on medium for about 3 minutes, or until combined and fluffy. Gradually add milk, beating until well-blended. Fold in COOL WHIP until combined. Divided mixture evenly between 2 pie crusts. Freeze pies until set (at least 2 hours hour to overnight). Before serving, remove from freezer and (if solid) let sit for 10 minutes before cutting. In the meantime, decorate as desired using COOL WHIP whipped topping, chocolate syrup, peanut butter cup candies or whatever inspires you. Then slice, serve and enjoy! Pardon the photo quality. This was taken from my phone to text to an out-of-town Mike. I knew he would be excited to come home! As part of the Foodbuzz Tastemaker program with Ghirardelli® Intense Dark chocolates, I was given the opportunity to taste three varieties of their Intense Dark chocolate line. That’s right. I got to sample top quality chocolate for free. You don’t need to twist my arm for this one! As a lover of all things chocolate, especially dark chocolate, this was right up my alley. The task was to share the pairings we put together with the chocolates. I enjoyed some plain, some with coffee, and was busy in the kitchen as well. Well, you’ll see…let’s get started. When I first opened my chocolate bounty, Twilight Delight is the chocolate that I was immediately drawn to. After the first bite, I knew I was in trouble. The chocolate is smooth, dark, and is a perfect accompaniment with my coffee (or water, or wine, or milk, or Tuesday…you get the idea). I really wanted to just sit and eat all of this lovely chocolate plain, but the baker inside of me had other ideas. It just so happens, that weekend I rediscovered a brownie recipe,..it was as if fate was working its little hand here. 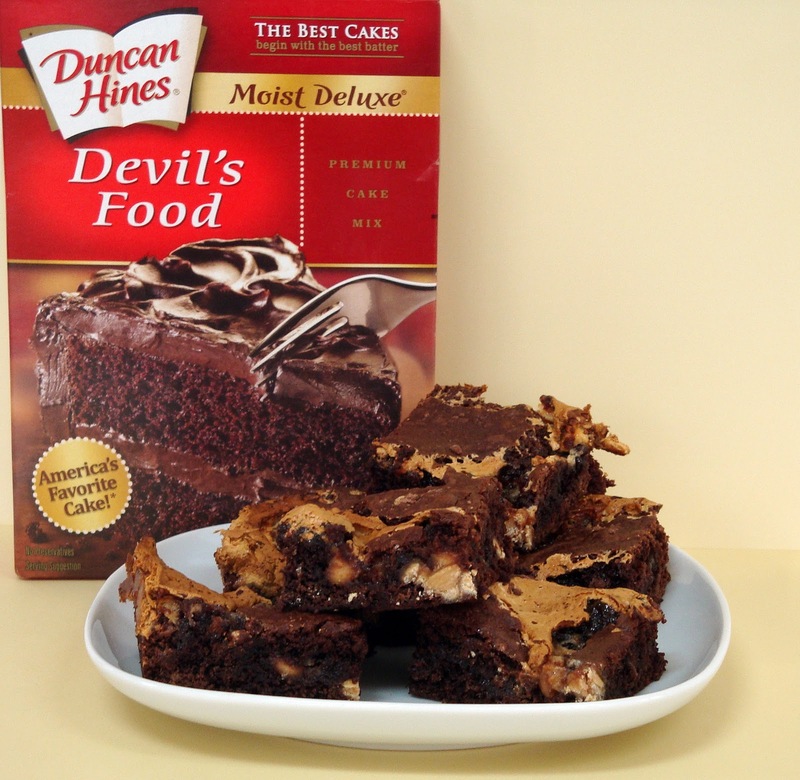 Check out Brown Sugar Brownies for the recipe. 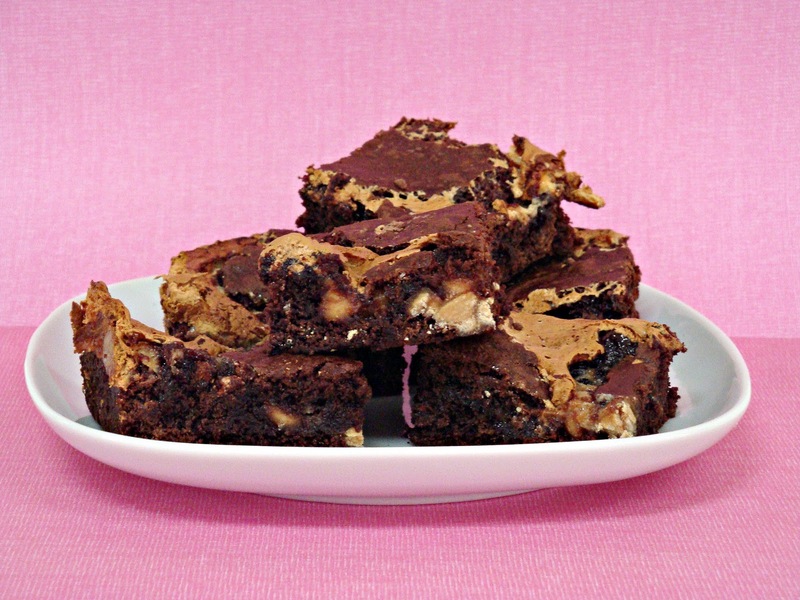 I really enjoyed the Twilight Delight chocolate with the caramel flavors of the brown sugar in these brownies. I also enjoyed Twlight Delight with dried apricots, coconut and pretzels. The darkest of the bunch, Midnight Reverie boasts 86% Cacao, and unrivaled chocolate intensity. To a dark chocolate lover like myself, it’s perfect. Again, I really wanted to just enjoy the bar plain (and I definitely did! ), but I wanted to make a dessert that would really highlight the beautiful chocolate. The idea of the darkest of dark whipped into a mousse was SO appealing, so I made Chocolate Ricotta Mousse. The Midnight Reverie chocolate was well pronounced throughout this dessert, and the result was a nice dark chocolate treat! I also enjoyed Midnight Reverie with marshmallows and pretzels. How delicious does this sound! There is something about the sweet-salty combination that is so appealing. Now, I did not personally sample this chocolate because I have a tree nut allergy. *tear* Fortunately Mike and my mom were willing and eager participants for this task! They both devoured the chocolate. You really can’t go wrong with dark chocolate and almonds, they say. The sea salt puts it over the top, they say. I will have to take their word for it. *tear* So for me, Sea Salt Soiree pairs best with sharing and smiles 🙂 (My taste testers thought they were perfect without accompaniment). So there you have if folks! While these chocolate pair well with many accompaniments, they are quite delicious just plain. It’s nice to have options…and chocolate! 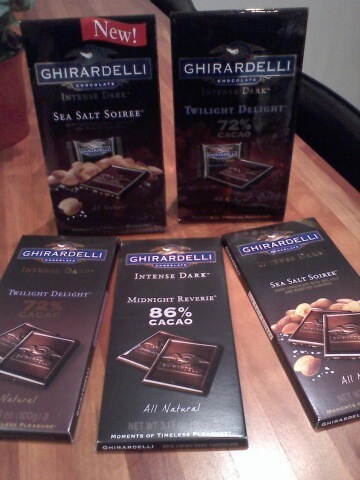 Disclaimer: As part of the Foodbuzz Tastemaker program, I was provided with 3 bars and 2 bags of Ghirardelli chocolate for free. The details of my experience are exclusively my opinion, and I was not otherwise influenced or compensated. As part of the Foodbuzz Tastemaker program with Sabra, I was invited to create an original recipe suitable for a cocktail party using Sabra hummus. My head has been swirling with several tasty ideas ever since, and I am very excited to share with you my creation! We all know the basic difference between a crustless quiche and a frittata. A crustless quiche is made with milk (or cream or half & half) and mixed with your veggies/meats. A frittata is made with no milk and with whatever mix-ins you want to use. Well, when you use hummus, but no milk, is the hummus a substitute for the milk, or is it considered a mix-in? The answer wasn’t quite clear, so I married the two, and the ‘Quichetata’ was born! In this variation of a Quichetata, I used Sabra’s Roasted Garlic hummus, spinach, roasted red pepper and goat cheese. It is amazing how well you can really taste the hummus, which is good and garlicky, and balances nicely with flavors of the goat cheese and vegetables. The result is fabulous. Made in a mini-muffin pan, these Quichetatas are the perfect hot h’ors d’oeuvres for your next cocktail party, holiday party, open house or brunch. Preheat oven to 375 degrees. Spray 2 12-cup mini muffin pans with cooking spray. Set aside. In a large bowl, whisk eggs and hummus together until combined. Add roasted red pepper, spinach and goat cheese, whisking until incorporated. Season with salt and pepper, as desired. Distribute egg mixture evenly among mini muffin cups (cups will be full). Sprinkle additional goat cheese over each cup. Bake for 10-12 minutes, or until eggs are set. Serve immediately. Disclaimer: As part of the Foodbuzz Tastemaker program, I was given Sabra’s hummus for free. The details of my experience are exclusively my opinion, and I was not otherwise influenced or compensated. As part of the Foodbuzz Tastemaker program, I got the opportunity to sample three olive oils from Crisco: Light Tasting, Pure and 100% Extra Virgin. Since I use olive oil often, I was excited to give them a try. But then I wondered…what would I possible do with these three olive oils? What’s the difference? Well, thanks to the handy little labels on each bottle, Crisco answered that very question for me and then some. Light Tasting is best for frying, baking and as an everyday cooking oil. Pure is best for grilling, sauteing and marinades. 100% Extra Virgin is best for dipping, dressing and sauces. To give a true test, I decided to remake a couple of old favorite recipes using Light Tasting and Pure, and to make a new recipe for you using 100% Extra Virgin. Since Crisco’s Light Tasting olive oil is great for baked goods, I decided to remake my Rosemary Cornbread, but this time as muffins. The oil had little to no fragrance and was otherwise very nice to use. The result? These muffins were fantastic! This was the best batch of Rosemary Cornbread yet, so I’m very pleased with the Light Tasting olive oil. Given that Crisco’s Pure olive oil is ideal for marinating and grilling, it will definitely be popular around this house. I decided to remake Mustard Rosemary Chicken, but this time we grilled the marinated chicken breasts (i.e. not on skewers). The result? Delicious! We both remarked about how this chicken was one of the best we’ve had. Another score using Crisco’s Pure olive oil! Crisco’s 100% Extra Virgin olive oil is best for dipping, so what better way to test this than by making a dipping oil. This recipe was inspired by a little pamphlet that came with the oils. Rosemary Parmesan Dipping Oil is simple, quick and easy to make, and tastes incredible! Three for three…thanks Crisco! In a small bowl, whisk together olive oil, vinegar, garlic, rosemary, salt and pepper. Pour into serving saucer(s) and add Parmesan cheese. Disclaimer: As part of the Foodbuzz Tastemaker program, I was provided with a bottle of each of the above named Crisco olive oils for free. The details of my experience are exclusively my opinion, and I was not otherwise influenced or compensated.